The Retro Hour is a professional Podcast made by Dan Wood & Ravi Abbott. 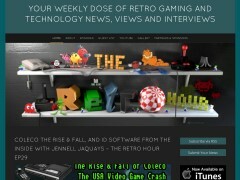 The Retro Hour aims to help the world understand the European gaming industry. In this episode: Jeroen Tel of Maniacs of Noise.